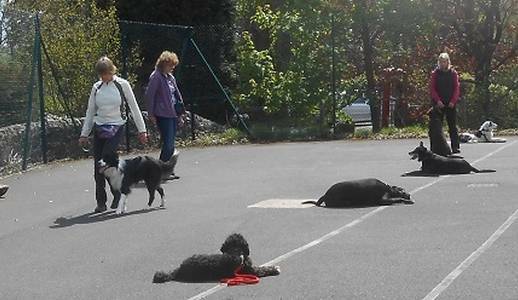 Homepage for Churnet Valley Dog Training in Staffordshire, puppy, beginner dogs, rescue dogs and older dogs. 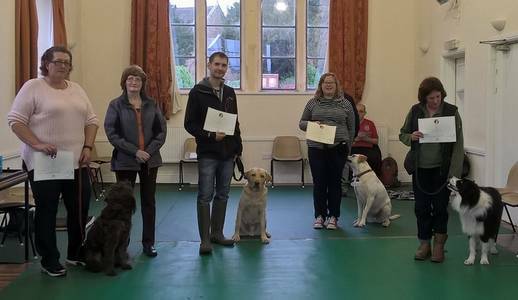 Churnet Valley Dog Training classes in Staffordshire. Out of sight down stay. 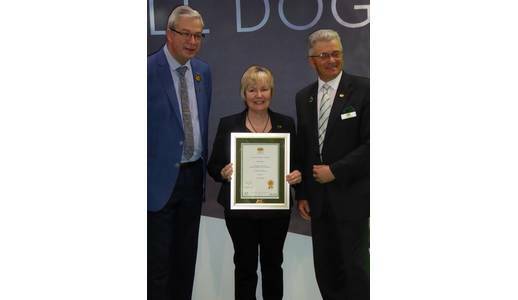 I had a great day at Crufts which included being presented with my KCAI certificate by the KC chair and the KCAI chairman. Morning class Wednesday the 10th of April, 10 am for one hour at Kingsley Village hall. 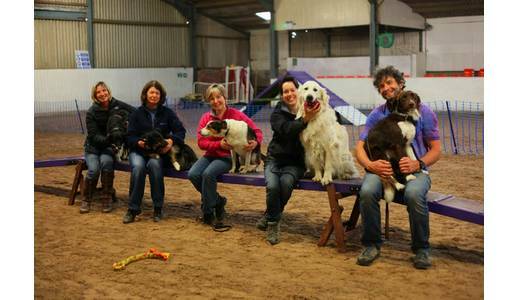 A nice friendly class for puppies and beginners for a really good start. 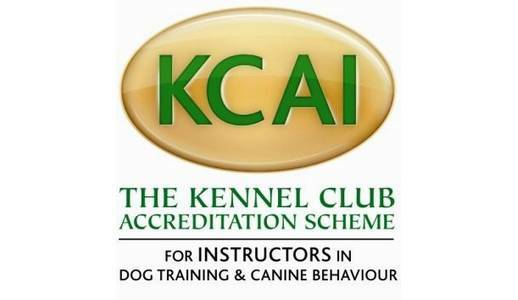 Basic training and KCGCDS. 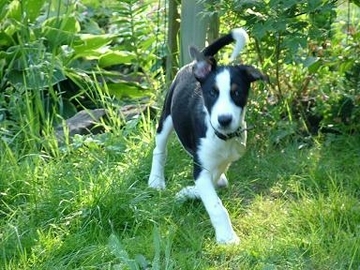 Wednesday puppy course at 6pm at Kingsley Village Hall, High Street Kingsley, ST10 2AE. Places available. 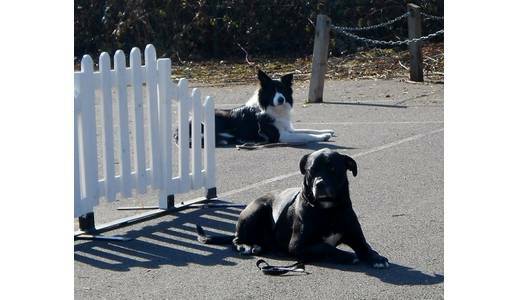 Specializing in Pet Dog Obedience Training and Behavior Modification. 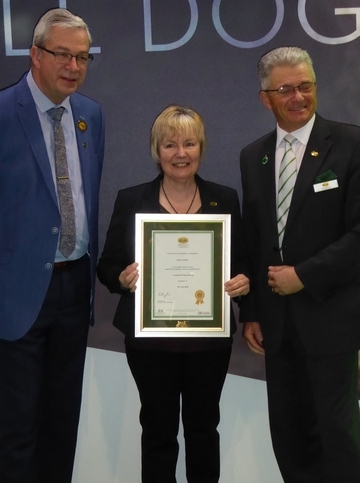 Special offer three one to ones for £110, travel and hall hire expenses may be added. One to one's are available at various times to suit. 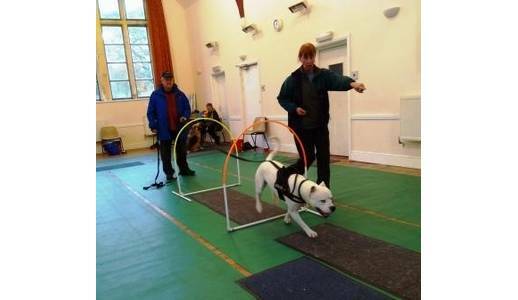 New - private dog training courses, see page for details. 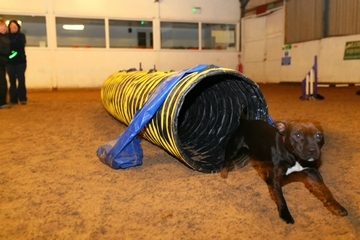 Agility new course Monday the 15th of April at Lodge Farm, Wetley Rocks. 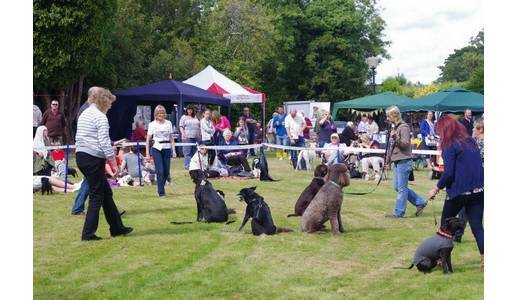 Clicker class watch out for dates and venue. 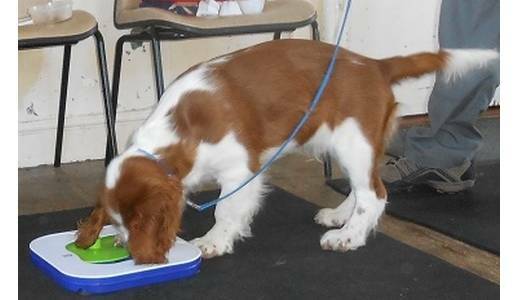 Learn how to use a clicker as a marker for the dogs behavior. 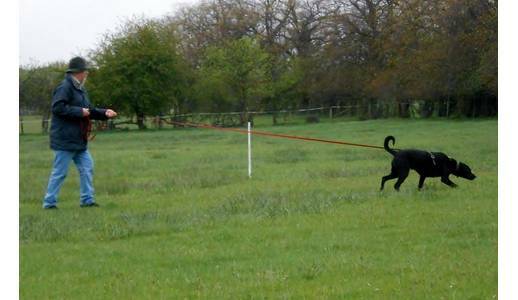 A clicker is a great tool for all aspects of training. Behavioral consultations and one to one training at a time and location to suit. 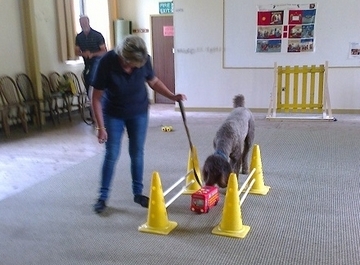 Kind positive reinforcement method of training. See customer reviews in the products section. 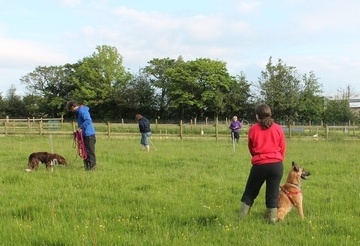 Tracking class are held through the summer months. "My policy for paying for courses is that the course must be paid for in full before or on the first class. Missed classes can be taken in other classes. If you cannot attend the first class and haven't paid you must contact me and arrange to pay, if not I will fill your space. This way enables me to organize the classes, keep them small and keep the course prices down. Late payments on week two must be cash, paypal, or bank transfer. "